Uptake of contraceptives is generally low in low-income settings. For women with HIV, contraception is a reliable and affordable method of minimizing vertical transmission. We investigated the factors that affect contraceptive use among Kenyan women using data collected during the Kenya Demographic & Health Survey (KDHS) of 2014. Data on contraceptive use were extracted from the 2014 KDHS database. Records of 31,079 Kenyan women of reproductive age (15–49 years) were analyzed. Frequencies were calculated; cross-tabulations and bivariate and multivariate analyses were conducted. Twelve thousand thirty-two women (39%) reported using a contraceptive method. 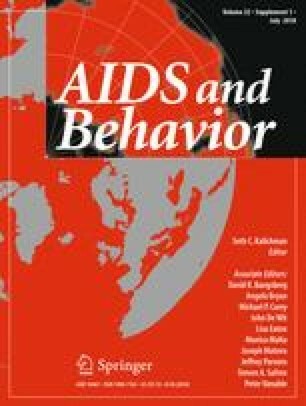 Region, religion, education, number of living children, marital status, and prior testing for HIV were significantly associated with contraceptive use among women (P < 0.001). Social, economic, and demographic factors predict contraceptive use among Kenyan women and should be addressed in order to increase contraceptive uptake. We wish to acknowledge support from the University of California, San Francisco’s International Traineeships in AIDS Prevention Studies (ITAPS), U.S. NIMH, and R25MH064712. International Aids Vaccine Initiative, Kenya Aids Vaccine Initiative-Institute of Clinical Trials, Measure DHS, and Kenya National Bureau of Statistics We wish to acknowledge Debbie Bain Brickley for her invaluable contribution towards this paper. The authors declare that the research was conducted in the absence of any commercial or financial relationships that could be interpreted as potential conflict of interest. We made a request to MEASURE DHS (Monitoring and Evaluation to Assess and Use Results of Demographic and Health Surveys program) for authorization to work on the KDHS 2014 data set. This was granted and a link to access the data set was provided. Secondary data collected by DHS program was utilized for analysis in this study. Therefore ethical approval and consent for participating was not applicable. World-fertility-patterns-2015.pdf [Internet]. http://www.un.org/en/development/desa/population/publications/pdf/fertility/world-fertility-patterns-2015.pdf. Accessed 9 April 2018. Berhane Y, Berhe H, Abera GB, Berhe H. Utilization of modern contraceptives among HIV positive reproductive age women in Tigray, Ethiopia: a cross sectional study. ISRN AIDS [Internet]. https://www.ncbi.nlm.nih.gov/pmc/articles/PMC3800562/. Accessed 25 Sept 2013. Muma J, Kabiru C, Mukiira C, et al. APHRC-country-step-up-report-Final.pdf [Internet]. http://aphrc.org/wp-content/uploads/2014/05/APHRC-country-step-up-report-Final.pdf. Accessed 29 April 2017. Ochako R, Mbondo M, Aloo S, et al. Barriers to modern contraceptive methods uptake among young women in Kenya: a qualitative study. BMC Public Health [Internet]. 2015;15(1). http://bmcpublichealth.biomedcentral.com/articles/10.1186/s12889-015-1483-1. Accessed 22 Feb 2017. Kenya National Bureau of Statistics, Ministry of Health/Kenya, National AIDS Control Council/Kenya, Kenya Medical Research Institute, National Council for Population and Development/Kenya. Kenya Demographic and Health Survey 2014. 2015. http://dhsprogram.com/publications/publication-fr308-dhs-final-reports.cfm. Accessed 29 April 2017. Saliku T, Ochako R, Izugbara C. Use of contraceptives among women in Nairobi, Kenya [Internet]. 2011. http://www.abortionresearchconsortium.org/reports/APHRC-policy-brief-26.pdf. Accessed 29 April 2017. Apanga PA, Adam MA. Factors influencing the uptake of family planning services in the Talensi District, Ghana. Pan Afr Med J [Internet]. 2015;20. http://www.panafrican-med-journal.com/content/article/20/10/full/. Accessed 29 April 2017.